Model Misty Lynn Lawless is “On the Prowl” with this photoshoot by R.Jaye Photography. Misty Lynn Lawless in a Alice in Wonderland inspired theme entitled Alice in Summerland with a gothic twist. Welcome to the Tea Party as you take a stroll through this Alice in Summerland gallery with photography by Toppaz Noah, and Cheryl Lynn of Beloved November. 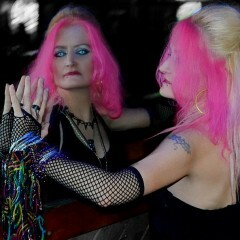 The first DGM gallery from model Misty Lynn Lawless. Photography by Beloved November.